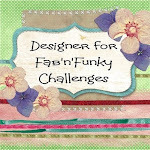 Another week has flown by and it's time for a new challenge at Penny's Paper Crafty. This time round we would like to see 'Your Favorite Embellishment'. I simply couldn't decide so I've used both corners and gems. Why not hop on over and get some inspiration from the rest of the design team. I was lucky enough to get Pirate Sam to use on my creation - I hope I've done him justice. Oh you have certainly done him justice - this is just so cute. Funny card! Thank you for joining us at Challenge Up Your Life! Awwww, so cute, Sharon! Thanks for joining in at My time to Craft! 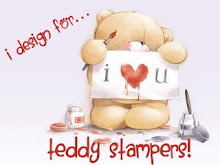 So gorgeous Sharon.I love your design and colours and the image is so cute. This is so adorable. I love it. Thank you for joining us at Fairy Tale Challenge. that's a great card! love the great layout you have done! Thanks for joining us at Card Mania Challenges and good luck !